By contrast, Catalina is an island. Twenty-one miles long, eight miles wide. 70 degrees and sunny when I last checked. Wrigley set about making Catalina a must-see tourist destination. He improved the island’s infrastructure, and built a dazzling array of hotels, dance halls, and recreation facilities. And, he gave them the Cubs. 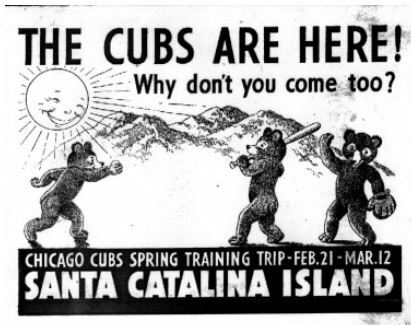 Catalina was the Cubs’ Spring Training home from 1921 until 1951 (minus a couple years during World War II, when Indiana had to suffice). 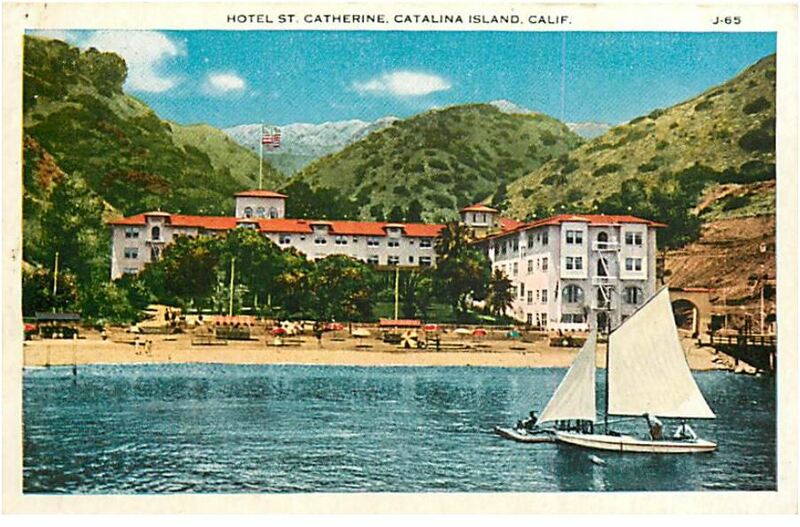 The Cubs lived at the luxurious Hotel St. Catherine, nestled on the bay. They practiced in the warm sunshine at a ballpark that perfectly matched the dimensions of Wrigley Field. They had a lovely clubhouse which still stands today and houses the local Country Club. The Cubs Clubhouse is now the Catalina Country Club. During off hours, Cubbies could swim, sun, golf, hunt, or “chase skirts” at the glamorous Avalon Grand Casino, which wasn’t really a casino, but the world’s largest dance hall, filled, I’m sure, with the world’s most beautiful girls. Frankly, I’m surprised anyone ever left. 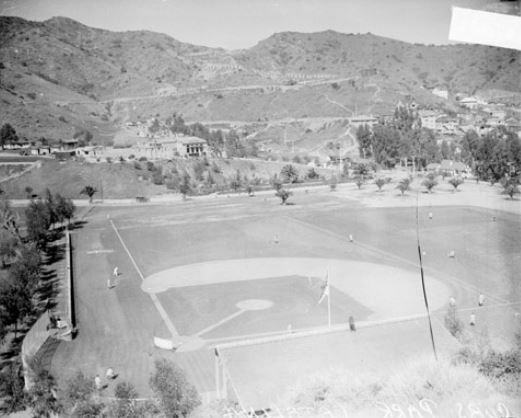 With no other major league teams nearby – especially in the early years – the Cubs played a good share of intrasquad games, took on local teams, and even once played a boat-load of movie stars that were ferried out on a publicity stunt. But, paradise never lasts, does it? 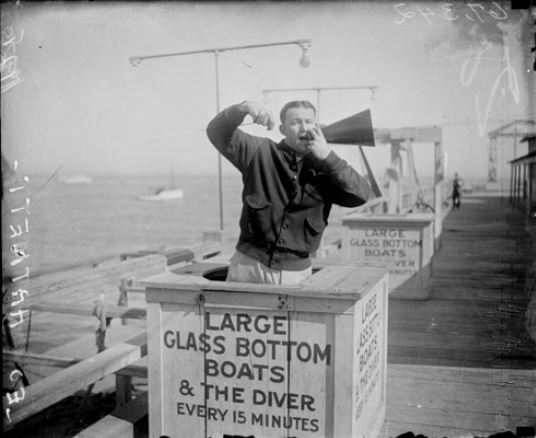 A run of bad weather over a few seasons – rain, even some snow – was Catalina’s undoing. The Cubs decamped for Mesa, Arizona in 1952, where they’ve been ever since. In the 1970s, the Wrigley family donated most of the island to a conservation trust. All my client knew about Catalina was that it was once stocked with wild boars to encourage hunters to visit. Someone else I asked knew about the feral goats that overran the island until the late 1990s when some were rescued and removed, and many others, well … weren’t quite so lucky. Even though the Cubs haven’t won a World Series since 1908, you can’t discount a team that spent 30 years warming up on a beautiful island. So, I deem Catalina Island in California #4 on my list of amazing Spring Training locations. #3 Coming Soon. In 2014, the Cubs will move into a spacious, new Spring Training facility, funded, in large part, by $84 million provided by the city of Mesa, Arizona, according to The Phoenix Business Journal. They will enjoy a luxury ballpark, ample practice fields, and a state-of-the-art “training complex” that will be the largest of all the Spring Training venues. The area, which will include its own park, lake, and shopping/dining district, will be called Wrigleyville West. 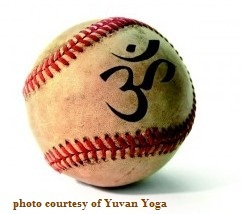 This post is dedicated to Cubs fan Jan Yuvan of Yuvan Yoga, Chicago. Even though she didn’t know me, she graciously allowed me to use her OM baseball photo on this blog. If any Cubs fans are reading this, please contact the Cubs and urge them to hire her as their Yoga Coach. The World Series will be in the bag! This entry was posted in Baseball, Baseball History and tagged Chicago Cubs, Fenway, mascots, spring training, Wrigley by Jackie, The Baseball Bloggess. Bookmark the permalink. As a native Chicagoan I loved this! My dad took me to Wrigley Field just once when I was seven years old. It wasn’t a weekend as I recall, so he must have been playing hookey himself. Not surprisingly the Cubbies lost, but the hot dog was memorable, and the experience made me a fan for life. Waiting for #3! My dad was a Cubs fan, topped only by his favorite Cleveland team (also not much one for winning, but a very loyal chap…). I didn’t know the Cubbies didn’t have a mascot; would be hard to top Edgar, Allan, and Poe, anyway! Thanks for the great early pics, links, and the video. What a lovely way to spend a cold, damp, dreary day “up north,” dreaming of being warm at spring training in FL…. 75 degrees, 50% humidity and just a bit overcast in Sarasota right now – sigh. I think every team deserves a mascot. I’m sort of partial to the Oriole Bird … but the 4 Racing Presidents (including President Taft, their newest member) at the Nationals games are very very cool! I’ve been to Wrigley a couple times the past few years(my fiance is a huge cubs fan), and it’s definitely worth going to. You should take a trip and go before they renovate it all up. I had a blog last year about going to Wrigley and posted some pics. Thanks for the info in this blog, I had no idea they did this! There is so much baseball I still need to see in person. I’m working on it! Good luck to your Dodgers … I thought of you as I was putting together the Dodgertown post. Thank you for reading!